The delay in the appointment of a number of Mineral Rights Board members has stalled the processing of mining licence applications for 4 months. This is why hundreds of applications have been piled at the Ministry of Mining. The board’s role is to review and approve new mining permits among others. 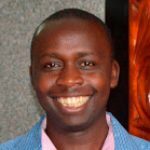 The Mining Cabinet Secretary noted that the delay in constituting the Mineral Rights Board has been caused by failure of the Council of Governors to appoint their nominee and the President in nominating the Chairperson of the board. The mining sector has been turbulent in a number of ways. A good example is the investment dispute involving Cortec Mining. This was caused by the cancellation of a mining licence by the Najib Balala, former Cabinet Secretary for Mining. It is important for you to note that Kenya has been operating under the 1940s mining laws. 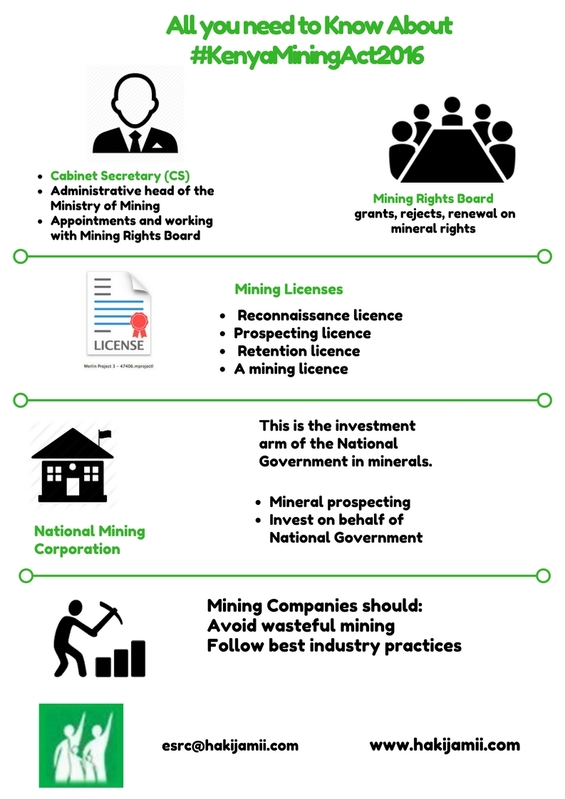 The assent on the Mining Act 2016 marks a new beginning for the country in issues of mining. The infographic below produced by Hakijamii gives you a clue into what the sector will look like under the new.